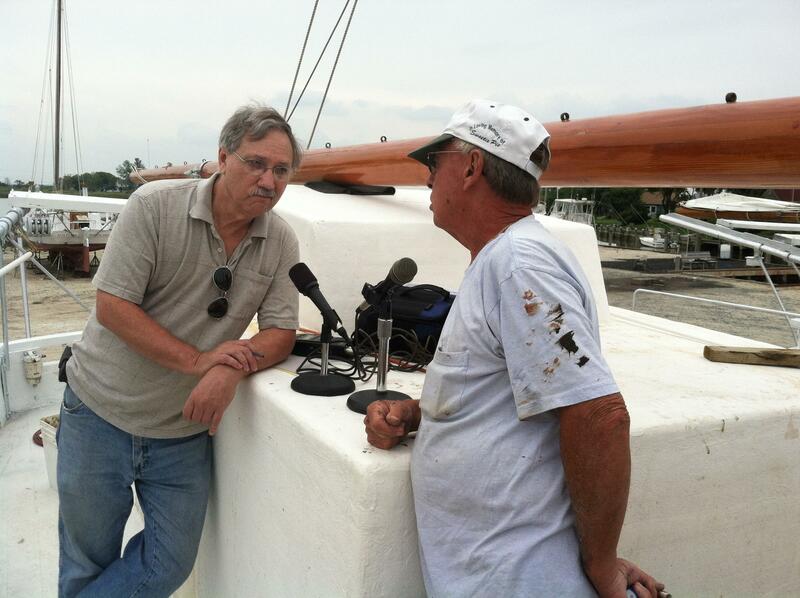 Don Rush visits Skipjack Captain Stoney Whitelock at Scotts Cove Marina in Deal Island. 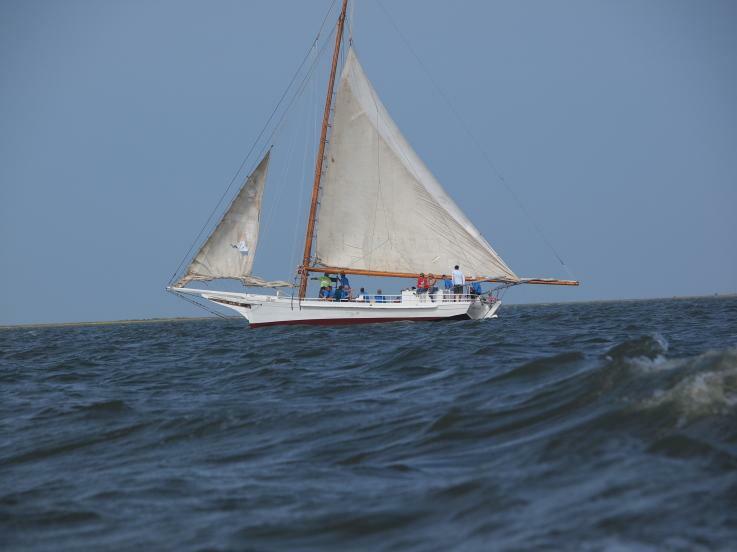 The Ida May has made a comeback winning the 54th annual Skipjack Races just off Deal Island yesterday. Elbert and Gordon Gladden spent several years refurbishing the vessel even seeing a sail fail once in one of the races. Meanwhile, The Somerset came in second place while the H.M. Krantz followed up in third place. The perennial favor the City of Crisfield owned by Art Daniels led the pack for a while but had some trouble finding a buoy. The nine time winner eventually decided to quit the race instead of staying in the competition. Next Year's Hopes for "The Kathryn"
That was the word from Captain Stoney Whitelock as he sat just outside the tent that holds his beloved “The Kathryn” on the prospects of getting his vessel back into the Skipjack races off Deal Island. 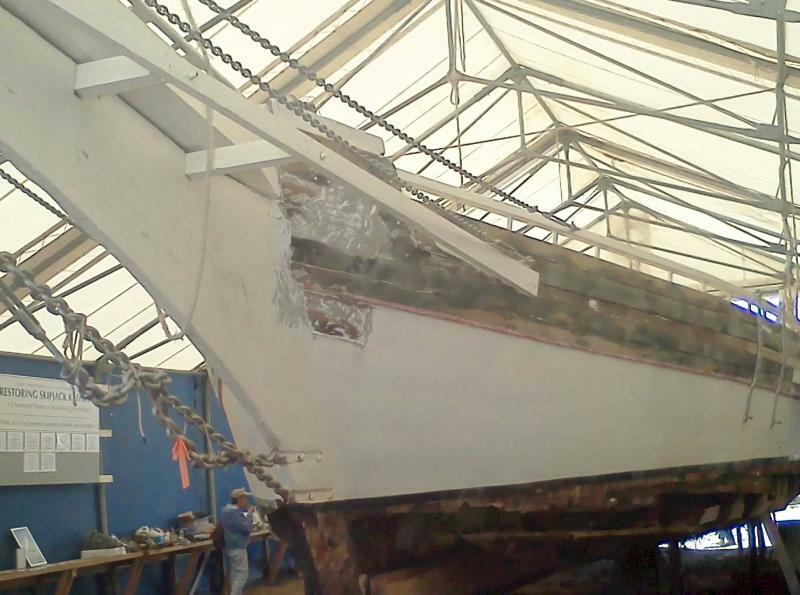 The underside of the hull is now stripped and the inside boards bare as work progresses on the 75-foot-long Skipjack. Whitelock was on hand for the Hardhead festival in Scotts Cove where local supporters including four local captains to raise some money to restore the vessel built in 1901.